Topics: Hotels, Travel Insurance, Flights, Rental Car, Visa Check, and London. 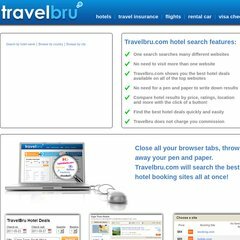 travelbru.com Hotels City | Hotel in | Hotels near | Hotel Deals | TravelBru ..
Singlehop Inc (Illinois, Chicago) is the location of the Apache server. Its local IP address is 184.154.116.178. Its 2 nameservers are ns1.pipedns.com, and ns2.pipedns.com. PING (184.154.116.178) 56(84) bytes of data. Website load time is 1934 milliseconds, less than 66% of other measured websites. As well, a ping to the server is timed at 12.3 ms.